The India Meteorological Department (IMD) has issued a depression warning for 48 hours over the southeast Arabian Sea not far from Lakshwadeep and Kerala. Heavy rainfall and strong winds are expected to hit south Tamil Nadu, Kerala and Lakshwadeep from 13 to 15 March. Fishermen have been advised not to venture out into the sea off south Tamil Nadu, Kerala, Comorin-Maldives area and adjoining equatorial Indian Ocean and the Gulf of Mannar area for the next 48 hours. The IMD on Tuesday said that the depression over southeast Arabian Sea adjoining equatorial Indian Ocean moved north-northwestwards with a speed of about 20 kmph. 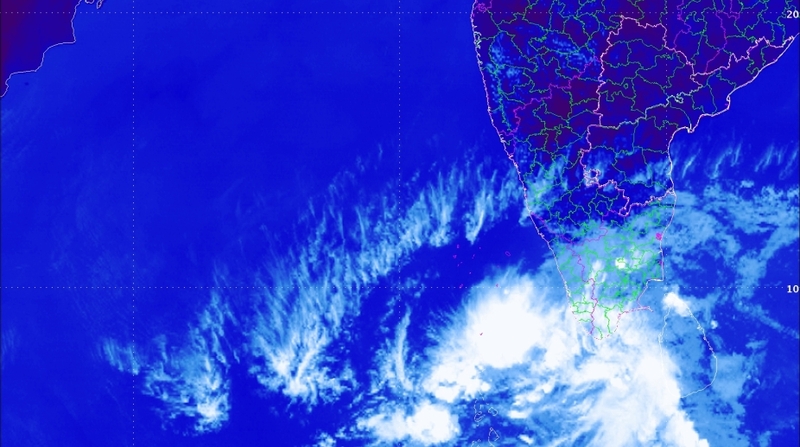 At 11.30 am the depression was about 420 km southeast of Minicoy, 350 km south-southwest of Thiruvananthapuram and 290 km east-northeast of Male (Maldives). According to IMD, the depression was likely to move north-northwestwards and intensify into a deep depression during next 48 hrs. The weather department has warned that wind speed will vary between 40 to 60 kmph. A depression likely causes minor damage to loose and unsecured structures. According to media reports, the Kerala government has already issued advanced warning to the fishermen and asked coastal villages to be on alert. The same region had faced full force of Cyclone Ockhi in December 2017, which left 282 dead and 661 missing in Tamil Nadu and Kerala alone. The cyclone, which was formed from a low pressure spot in the Bay of Bengal, caused damage worth $4.29 billion to the two southern states.